Not sure if shooting top right was for political reasons (personally we liked five hole on this goalie), but that's the way Canadians voted last night electing a 166-seat Conservative majority government. Harper is a hockey traditionalist and historian, even using Sher-Wood wooden hockey sticks - we wonder how he feels about that section of the company being outsourced to China. Harper has good hand eye coordination, it must have been easy watching his seat numbers jump to 166 last night... and of course he had to dangle a kid in a Maple Leafs jersey. 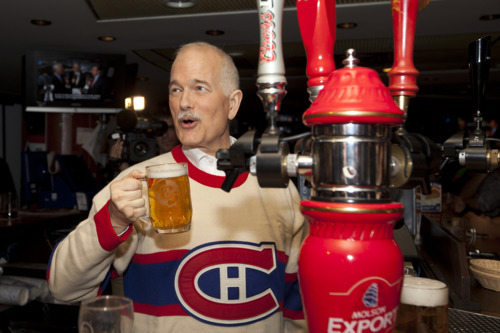 With some excellent offseason free agent signings and building through the draft, the NDP jumped 37 seats to 103 - but this was the real way Jack Layton won Quebec over. By wearing that jersey he also becomes the Official Opposition of the Toronto Maple Leafs. ﻿Gilles Duceppe was shutout in his riding, and Canada watched as his party collapsed like the New Jersey Devils playing the trap. 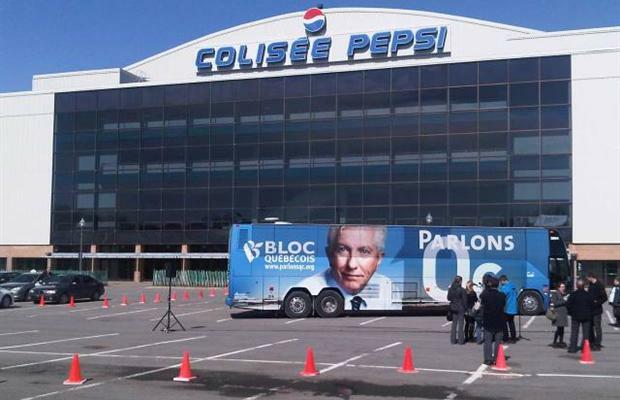 Perhaps the empty Colisée parking lot was a metaphor for the number of seats his party would hold after the election. Does this mean the Bloc Québécois will be relocating to Winnipeg? The real downfall of the Green Party? 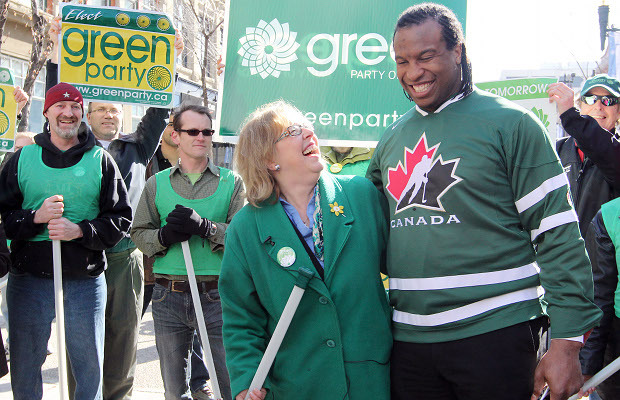 Georges Laraque was their Deputy Leader, but he did have one hell of a campaign ad. Meanwhile, Michael Ignatieff had a historic defeat. 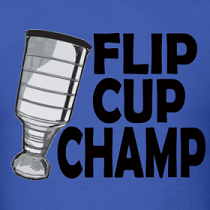 Just like the Philadelphia Flyers and their goaltending, it's time for the Liberal party to make a leadership change. 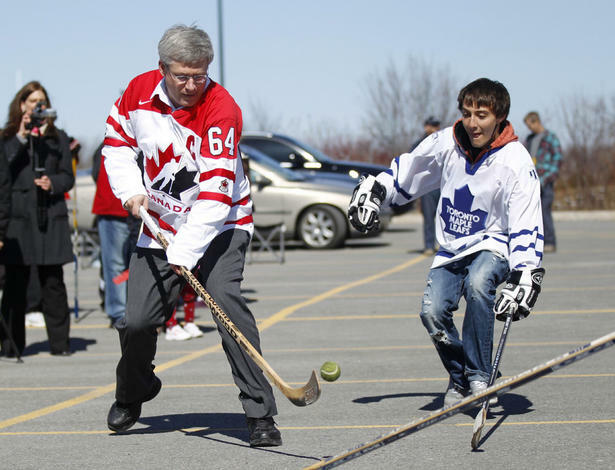 Well I am just glad that our PM likes Hockey and seems to know how to play. That beer Jack is holding looks so good. 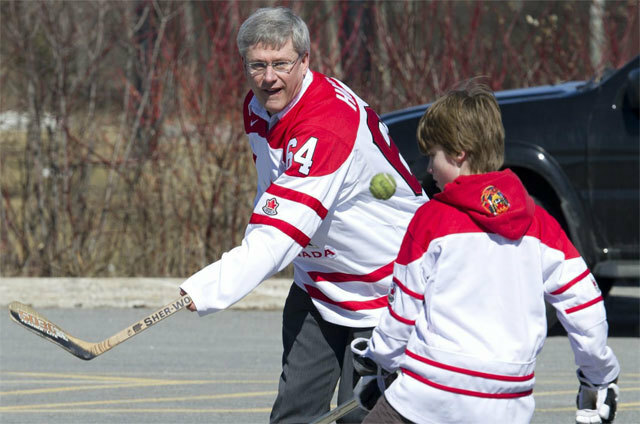 Harper would be alternate captain at best on my hockey team! Georges Laraque looks like he has been hitting the poutine hard. 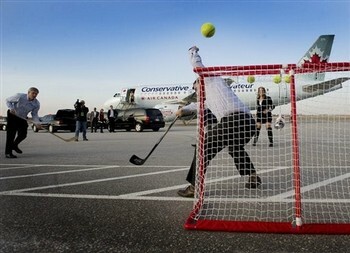 Using a tennis ball for ball hockey is so wrong. Gotta break out the orange harder balls.